Directed by Jon Brewer. UK. 2014. 94 min. 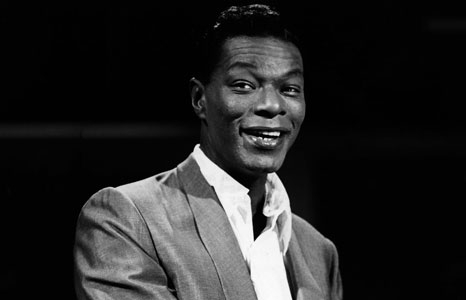 This candid and revelatory account of the life of legendary singer Nat King Cole is taken from his private journals (made available by his widow just preceding her death at 89), as well exclusive interviews with family members, contemporaries and friends, such as Tony Bennett, Buddy Greco, Harry Belafonte, Nancy Wilson, Sir Bruce Forsythe, George Benson, Aaron Neville, and Johnny Mathis. At a time when America groaned under the weight of segregation, and against the tumultuous backdrop of the civil rights movement, Cole became a beacon of hope to the legions of the oppressed. With unparalleled access, Jon Brewer explores how Cole reconciled stardom and systemic racism, emerging as an enduring cultural and musical icon. During his extensive research for the film, Brewer discovered two previously unreleased tracks sung by Cole—Magic Window and What to Do. You can hear them in the film. See the menu, featuring dishes inspired by Nat King Cole. Live entertainment provided by Rea Fox and Aaron Nelson. *For any vegetarian requests, please email ddt@honolulumuseum.org before Friday, February 5 at noon.